Proudly meeting the Dayton / Cincinnati asphalt needs along with the Northern Kentucky Corridor. 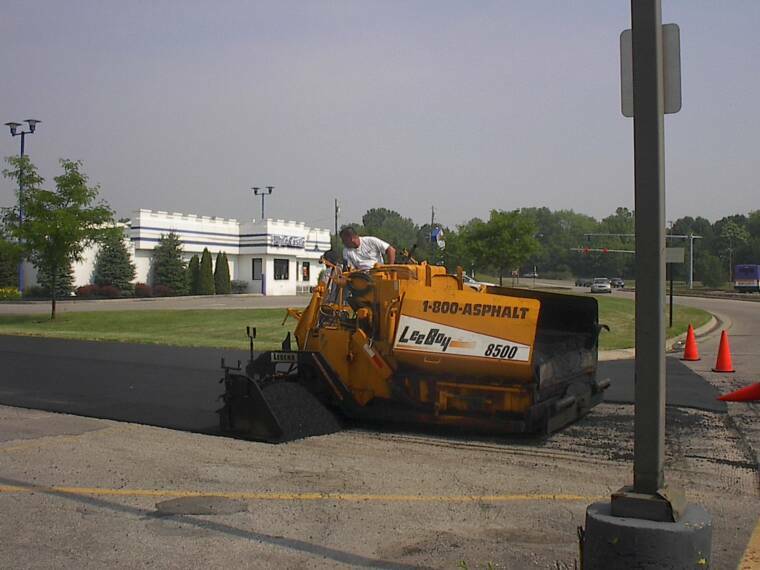 Conveniently located next to Kings Island Amusement Park, we service the entire Cincinnati, Dayton, and Northern Kentucky corridor with a full line of driveway blacktop and asphalt paving services. Conveniently located next to Kings Island Amusement Park, we service the entire Cincinnati, Dayton, and Northern Kentucky corridor with a full line of blacktop pavement services. We will come to your location during regular business hours and provide you with a free, no obligation, written asphalt estimate. Most of the time our response time from receiving your call to submitting an estimate is less than 48 hours. All of our work comes with a workmanship guarantee. From start to finish, you will get a professional touch from our experienced asphalt paving work crews. We handle work varying in size from very small residential blacktop driveways all the way up to commercial asphalt parking lots, and we even pave township roads. No matter what the size of work you need to have done, 1-800-ASPAHLT will treat you as an important asphalt customer. It is our goal to provide quality blacktop services and make long-term clients, not just one time paving customers. We want to go the extra mile to prove our quality paving service to you.